A fascinating article by Maurie D. McInnes, professor of art history at the University of Virginia, is available online. It explores Eyre Crowe’s 1853 trip to Richmond, Virginia, and the legacy of the sketches and paintings that he made depicting the slave trade there. 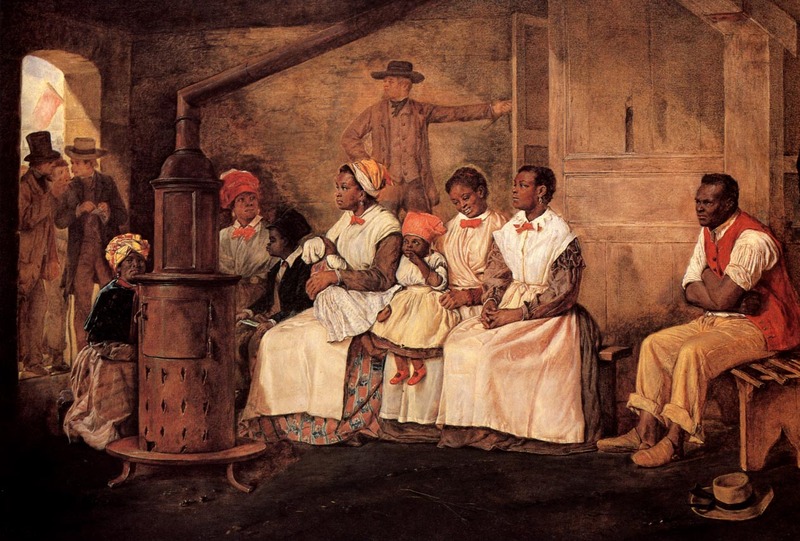 His most famous slavery painting, Slaves Waiting for Sale: Richmond, Virginia, was exhibited in London in 1861. McInnis, Maurie D. “Eyre Crowe’s Images of the Slave Trade.” Encyclopedia Virginia. Virginia Foundation for the Humanities, 4 Sep. 2013. Web. 26 Nov. 2014. This entry was posted on Wednesday, November 26th, 2014 at 10:20 pm and is filed under Pictures, Slavery. You can follow any responses to this entry through the RSS 2.0 feed. You can leave a response, or trackback from your own site.